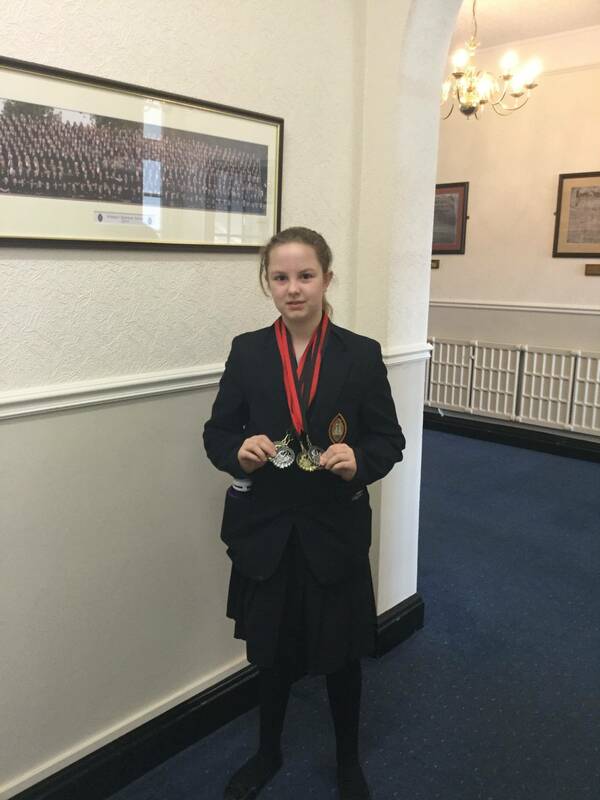 home > Calendar & News > Latest News > Uncategorised > Four medal success for 1st Form Gymnast, Niamh! Four medal success for 1st Form Gymnast, Niamh! Niamh Ward has been training with the Eagles Gymnastics Club in King’s Lynn for the past four years. She had the opportunity to compete this weekend against 10 other pupils who train at the club and took the podium in four categories: Gold for Vault and Beam, and Silver for Floor and Bars. What a brilliant result… well done, Niamh!